During the holidays, members of every age group participate in an activity that seems to be an innate duty of every American: going to the movies. Hollywood is an extremely crucial part of American culture, and the thousands of motion pictures that have been produced over the last century have represented and depicted every idea, symbol, and characteristic of our country. However, an exceptionally irritating feature has marred recent films, and many movie-goers have been growing tired of the excessive amount of previews and commercials played before the films they have come to enjoy. In reality, there is nothing wrong with playing commercials and previews before the actual feature of a movie theater, unless the aforementioned previews consume a whopping 45 minutes. Furthermore, it is entirely possible to show up to a film half an hour or even 45 minutes late due to the excessive duration of the previews, and films that are said to start at 1:00 pm typically begin somewhere between 1:30 and 1:50. This is totally ridiculous, and unless you enjoy sitting in a dark room watching previews of crappy vampire and Frankenstein movies while a gigantic camel struts across the screen every five minutes, then showing up late for a film is a very logical idea. In addition to this, the quality of many of the movies that are advertised by the previews is highly questionable. An example of this phenomenon is the preview for the new Frankenstein movie, which looks completely atrocious even compared to some of the other low quality motion pictures produced these days. And while a preview for the umpteenth addition to the Paranormal Activity series is appropriate to watch before a horror film, it absolutely should not be displayed to viewers who came to watch The Secret Life of Walter Mitty. As for the commercials, most of them are acceptable as long as they are only played ONCE throughout the duration of the previews. Believe me, there is nothing more atrocious and horrifying than being forced to endure the presence of a gigantic, annoying, talking camel on screen for upwards of forty-five minutes. Even though having this camel tell movie goers to turn off their cellular devices before the beginning of the film is a good idea, playing this commercial over a dozen times during the previews makes many viewers (including me) want to chuck their cell-phones at the screen. However, there is a potential solution to this problem that could enable movie theaters to play this commercial multiple times: having the camel bite the heads and appendages of viewers who are using their cell-phones would be extremely entertaining, and it might even make showing up to the previews worthwhile. Another type of commercial that should only be played once or twice is the Coca-cola commercial. While this commercial is funny and appropriate, it does not need to be showed fifteen times before a movie. It is true that the excessive duration of commercials and previews before a movie is extremely irritating, but if a movie is truly profound and entertaining, then showing up to the film is definitely worth it. In fact, the previews are far from the most irritating aspect of the movie theater. For example, listening to a thirty-five year old man whine for forty-five minutes straight about the previews before The Secret Life of Walter Mitty is extremely irritating, especially when he makes the following comment about the preview for the new documentary about bears living in the wild: “This stupid preview along with the camel and Coca-Cola commercials is just another ploy of the liberals to implement their gosh-darn (actually a more explicit term) communist views in society.” Even though the commercials and previews before a movie can be extremely annoying, what truly distorts America’s most popular form of entertainment is the fact that many viewers no longer seem to be able to refrain from applying their political views to something as trivial and light-hearted as a movie preview, and while this behavior is protected by the First Amendment, the behavior is rude, unnecessary, and completely inconsiderate to other viewers. Image: Ahram, Roey. 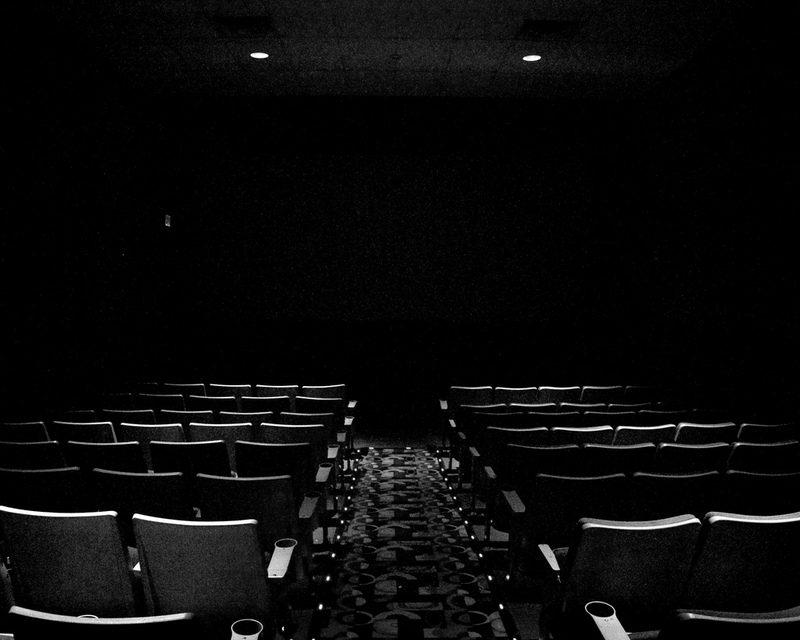 “Movie Theater.” Flickr. Yahoo!, 17 May 2012. Web. 21 Jan. 2014.